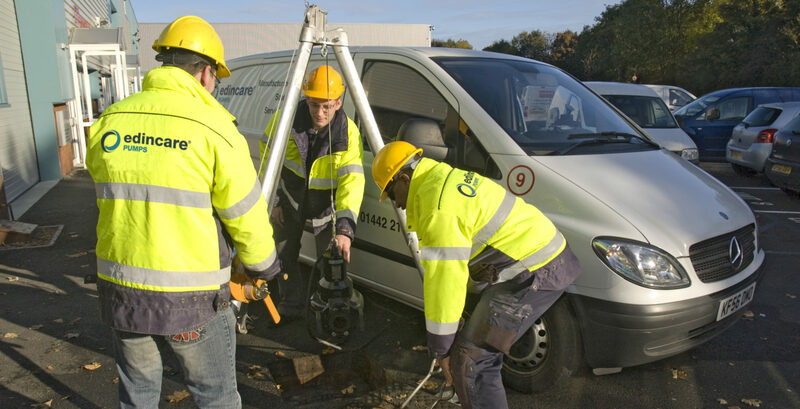 Edincare Pumps are specialists in the manufacturing, design, commissioning, servicing and repair of pumped drainage solutions. We pride ourselves on our turnkey service. We offer Site Surveys, Project Design, Installations, Refurbishments, Planned Servicing, Emergency Call Outs, Commissioning, Monitoring and Tankering & Jetting on all pumped solutions, regardless of type, make and age enabling us to assist you with all your purchasing and servicing requirements. Our Project and Service Teams are at the forefront of technical advances in our industry and we are constantly improving and expanding our products and services to suit the ever evolving sector. Edincare Pumps are registered with British Safety Council, Constructionline, Safe Contractor, CHAS, ISO, Basement Waterproofing Association, PCA, FORS & NICEIC demonstrating our commitment to Health and Safety and our quality of workmanship.